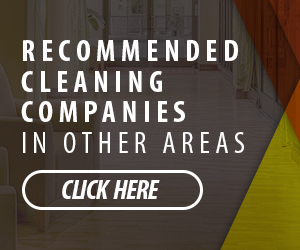 Are You Already a Succeeding Carpet Cleaning Business? Congratulations on building a successful business. You have achieved what many have failed to do. Single Truck Success is focused on helping companies reach the critical success point of producing enough money to pay both their business and personal bills. Even though you have exceeded this goal, this program still has much to offer you. Single Truck Success is the foundation for growing businesses to outstanding success. The principles taught here are necessary to move on to maximize the profits of each truck and to reach higher personal and financial goals. The strategies and training offered here for helping people succeed quickly are what are needed to fine tune the success and growth of any size business. You will want to pay particularly close attention to the strategy and customer development portions of this interactive program. A great deal of the training and strategy offered in this program are unique. The mysteries of success have been removed and business growth and success have been broken down in to manageable tasks. No other program in our industry has been able to accomplish this. Implementing these strategies will enable you to create a greater consumer value and make your business more enjoyable and efficient for you. There are abundant resources available for companies in any stage of growth. There is a growing library of video, audio, and printed articles to develop all aspects of a cleaning business. These range from the training of technical skills to business organization and to improving the quality of your clientele. The objective of the resources is not to overwhelm you with stuff, but instead provide relevant information that is proven to work. Single Truck Success introduces you to addition support services that can help you attain your goals. Addition training programs such the Be Competition Free and coaching become the natural next step to growth. Wizard Solution is a customer management software program available to members at no charge. Sources for specialized website design and SEO are also available. Other services such as customer call tracking and training for computer software and technology are also available.